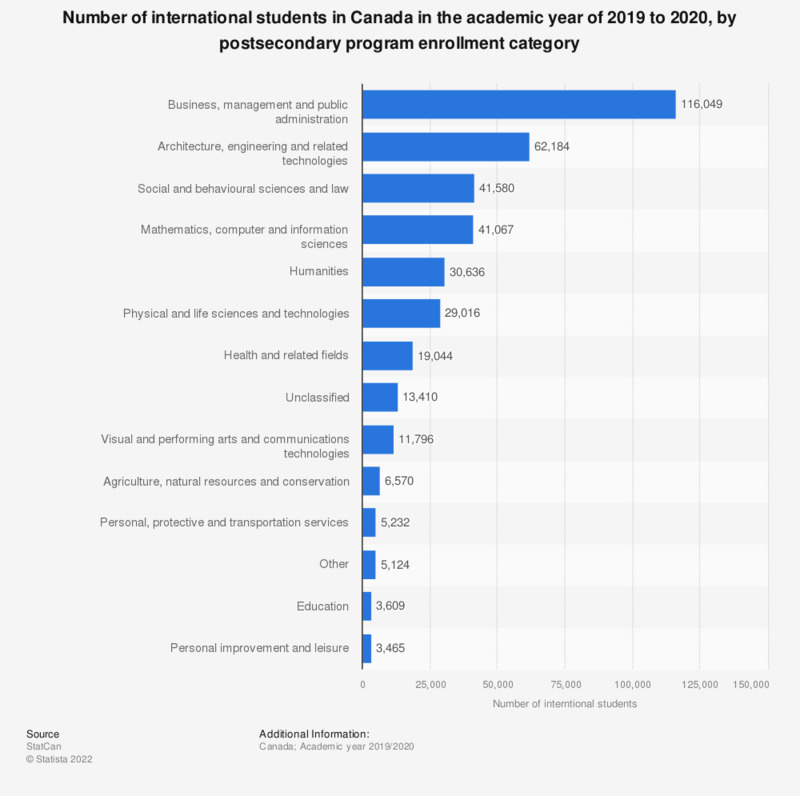 This statistic shows the number of international students in Canada in the academic year of 2016 to 2017, by postsecondary program enrollment category. In that year, there were 2,991 international students in Canada enrolled in postsecondary education programs. The Classification of Instructional Program (CIP) Canada 2011 is the current Statistics Canada's standard and updates the Classification of Instructional Program (CIP) 2000.